Exactly one year ago, Dr. Ibram X. Kendi was the keynote speaker at Westport’s annual Martin Luther King Day ceremony. A full house listened raptly as the winner of the 2016 National Book Award for Nonfiction described exactly what it means to be anti-racist. It was a powerful, insightful lecture. Attendees contributed almost $3,000 toward anti-racism training in Westport. In the weeks following, the MLK Planning Committee — TEAM Westport, the Westport Library, Westport Playhouse and Westport Weston Interfaith Council — worked with Dr. Kendi and his team to develop anti-racism training for senior management of key organizations in Westport. It includes town government, the police and the school system. The year-long, successful pilot project is now in the action stage. Dr. Kendi’s impact on Westport has been profound. And it came while he was engaged in his own, very different struggle. Last week, the Atlantic published a first-person piece by Dr. Kendi. Titled “What I Learned From Cancer,” it describes his whipsawing emotions as he was diagnosed with — and then battled — Stage 4 colon cancer. America’s politics, in my lifetime, have been shaped by racist fears of black criminals, Muslim terrorists, and Latino immigrants. Billions have been spent on border walls and prison walls and neighborhood walls, and on bombs and troops and tax cuts—instead of on cancer research, prevention, and treatment that can reduce the second-leading cause of death. Any politician pledging to keep us safe who is drastically overfunding law and order, border security, and wars on terror—and drastically underfunding medical research, prevention, and health care—is a politician explicitly pledging to keep our bodies unsafe. Harold Bailey — chair of TEAM Westport, who with Rev. Alison Buttrick Patton of Saugatuck Congregational Church has helped lead the local anti-racism initiative — notes that Dr. Kendi’s Playhouse talk last year was his first public appearance after being diagnosed with cancer. Bailey — but few others — knew of that back story as they worked through the year together. Today, Dr. Kendi stands a good chance of joining the 12% of people who survive a Stage 4 colon cancer diagnosis. As for Westport: This year’s 13th annual Martin Luther King celebration scheduled for tomorrow (Sunday, January 20, Westport Country Playhouse) has been postponed. A new date has not yet been announced. 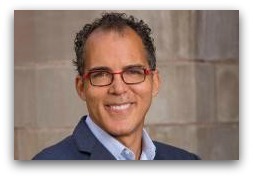 He is a leading critic of mass incarceration and its disproportionate impact on people of color. The Brown University and Yale Law School graduate clerked for Supreme Court Justice Sandra Day O’Connor. He then spent 6 years as a public defender. Forman has contributed op-eds and essays to the New York Times, The Atlantic, The New Republic, The Nation, and the Washington Post. This entry was posted in History, People, Politics, religion, Westport Country Playhouse and tagged Dr. Ibram X. Kendi, Harold Bailey, James Forman Jr., Martin Luther King Day, Westport Country Playhouse. Bookmark the permalink. Dan Thank you for this . 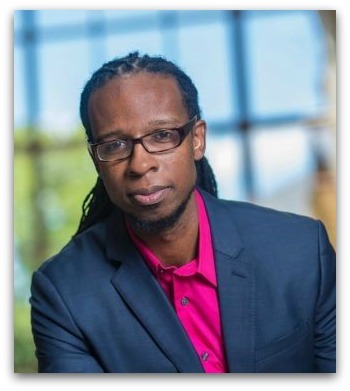 Even more respect for Dr. Ibram X. Kendi. I have a photo of myself with him after his speech last year at the Playhouse. He is smiling broadly. What an inspiration. I have to admit , that I still have not been able to finish his book “Stamped From the Beginning “. Profoundly disturbing. I look forward to reading his article in the Atlantic. Please keep us posted on the on the fruits of the labor of the anti racism training in Westport. Lastly to your readers , If you missed seeing Dr. Kendi in Westport last year, try to see him at Fairfield U at the end of the month. Happy MLK weekend everybody. Dan, thank for your comments and steering us to Dr. Kendi’s essay in the Atlantic. Dr. Kendi asks a very good question “Why does the Congress fund, walls, military enterprises so generously and under fund cancer research. It’s a – “what are our priorities question?”. It’s a humanitarian question.